Keeping Your Legs Looking Beautiful | Top Beauty Blog in the Philippines covering Makeup Reviews, Swatches, Skincare and More! The legs can develop dark spots and discoloration as a result of shaving, folliculitis, skin trauma, and even insect bites. If you live in hotter climates, insect bites are a major skin concern. Dark leg scars occur when insect bites lead to post-inflammatory hyperpigmentation and skin discoloration. 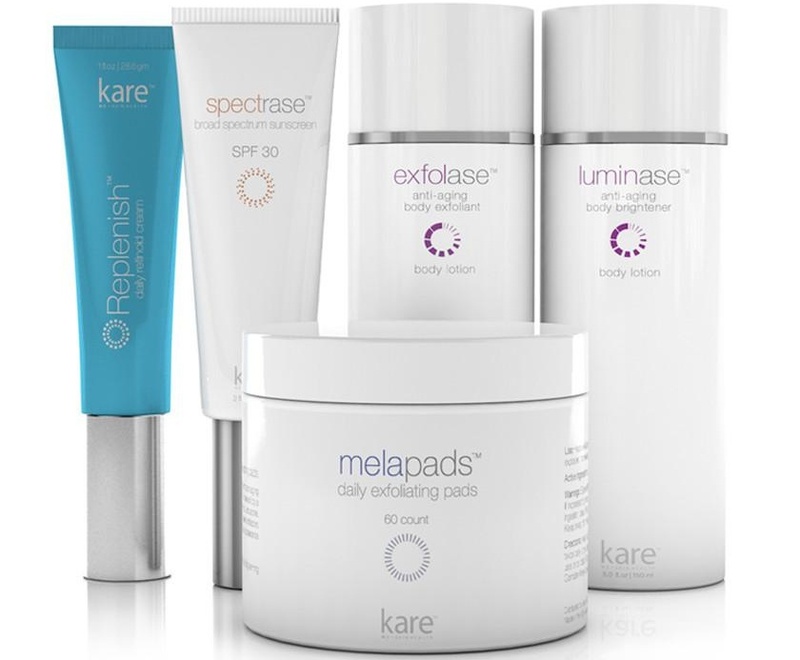 Treatments include laser therapy with micro-fractional ablation, light chemical peels, and daily application of Luminase and Exfolase creams as part of the Kareskin Body Brightening Kit. Luminase and Exfolase work to exfoliate and lighten dark body discoloration, particularly on the legs and thighs. Sun exposure and aging can cause the skin on the legs and thighs to become less resilient, leading to sagging and loose skin. Dr. Karamanoukian uses a combination of multi-plane tissue tightening with RF energy, fractional laser, and application of Exfolase body lotion with Replenish retinoid cream. The combination modality is excellent in stimulating collagen production and retraction. The development of laser and RF has now supplanted more invasive surgical treatments for loose skin on the legs and thighs. Cellulite is prevalent in all women of child-bearing age, regardless of the amount of body fat. Cellulite is caused by dermofascial collagen fibers that pull the skin down, leading to the characteristic dimpling and lumpiness of the skin. When asked about methods to improve cellulite on the buttocks and thighs, Dr. Karamanoukian recommends the Braziian Cellulite Treatment that he developed to improve the contour of the skin. Boa tarde, excelente sugestão na conservação da pele com belos cremes, que os raios solares tanto estraga. I’m thrilled with the results and I can say that I got my confidence back and I’m ready to rock shorts and bodycon dresses this season.